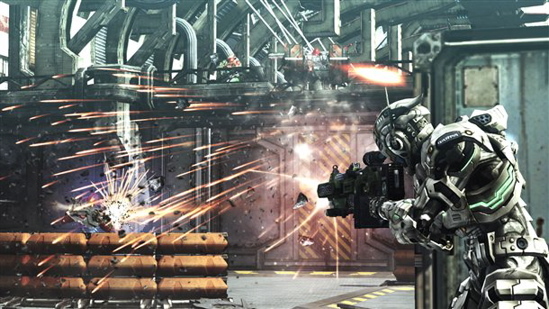 Famitsu has revealed in their latest issue that both the PS3 and the XBox 360 versions of Platinum Games’ Vanquish will be released in Japan on October 21st. Unfortunately, this info doesn’t come packaged with any specifics for the western release (“winter” is all we get), but VG247 did manage to glean from a Sega rep that the company should have something give us soon. I can’t wait. The game looks insane, and as a diehard fan of Shinji Mikami, any bit of news that brings me closer to this release is a very good thing.